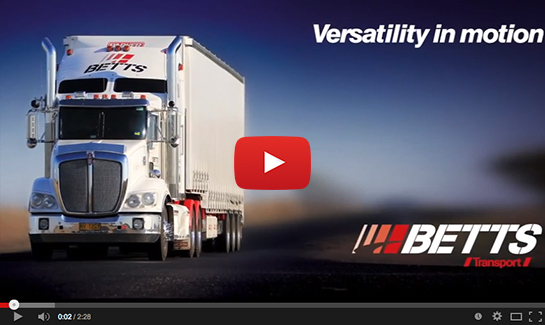 Betts Transport | Kenworth trucks and tautliner trailers configuring Road trains, BDoubles and Singles. Betts Transport has the versatility, experience and vehicles to meet all of your transport needs. Based in Northern NSW and Newcastle, Betts operates Australia wide. Betts Transport’s focus is to deliver your freight on time every time. With over 30 years in the industry you can rest assured that we have the experience, personnel and trucks to provide a constant serviced link between you and your customers every day.